Nuevo proyecto de DJ MUERTO en CDMX Soyuz 38 6 months 5 days ago. Cuando hacen las pruebas para los productores amateurs de música electrónica?Saludos 1 year 8 months ago. Tenemos fechas para Jibacoa todavia? 1 year 11 months ago. hey se que no tienen tiempo pero hechenle un ojo a esto si pueden! 2 years 1 month ago. https://youtu.be/1HiRrfGXsrI 💭💃🏽❤️ Hey soy El Darta Fresh 😉 aquí les dejo mi última producción hecha en Cuba... espero les guste y me gustaría mucho escuchar su opinión. Muchas cosas Gracias y Saludos Daro 👊🏽 2 years 9 months ago. The term pioneer is often tossed around casually when it comes to electronic music, but there’s no other way to describe Cuba’s Juan Blanco (1919–2008). In 1942—more than 20 years before the Beatles used a mellotron on “Strawberry Fields Forever”—Blanco drew up a design for a sampling keyboard with each key coupled to a wire recorder. But like many musicians in Cuba—and many artists and writers in countries like Russia and China—Blanco’s achievements in electronic music and its intersection with traditional music have gone largely unnoticed. Nuestro Tiempo / Our Time should start to change that. 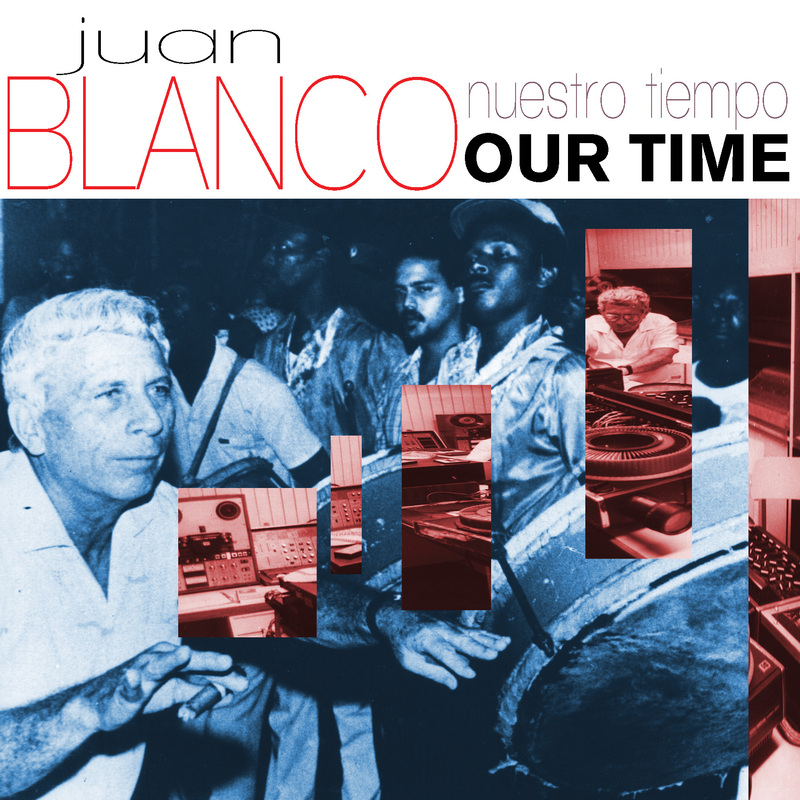 Taking its name from the group Blanco founded to promote the arts in Cuba in the ‘50s (Sociedad Cultural Nuestro Tiempo), this album brings together significant works from the span of Blanco’s career. “Cirkus-Toccata” (1983) blends Blanco’s percolating prepared tape part with the percussion of Cuban legends Guillermo Barreto (timbales) and Tata Guines (congas). Created with only one oscillator, tape splicing, feedback and basic overdubbing techniques, “Musica para Danza” (1961) is presented here for the first time, a revelation of lo-fi electronics. The most recent work is “Espacio V” (1993), part of a series that features Leo Brower, Neil Leonard, and Paquito D’Rivera following an electronic score created with the Jupiter 8 synthesizer. Blanco was a true pioneer. You can hear it in the ceaseless exploration of these works, in their tireless commitment to letting the work unfold in its own timeframe. Blanco broke down boundaries between what electronic music and the traditions of Latin music could accomplish (admired by Che Guevara, he was known to take PA systems to the sugar fields to entertain the workers). Here, his music comes alive in all its alien, vintage, indigenous glory. "[M]y first close encounter with Nuestro Tiempo was akin to stumbling upon an alien spacecraft (with vintage gear percolating inside) that began communicating parts of its creator’s story to me through sound. An unexpected, weird, but enchanting experience. ... It opens with the lively Cirkus Toccata (1983), in which Guillermo Barreto (timbales) and Tata Güines (congas) improvise with tremendous vigour to Blanco’s prepared tape of equally vigorous electronic patterns made with a Roland Jupiter 8 synthesizer. Later, on Espacios V (1993), Leonard’s soprano and tenor saxophones make simple, plaintive lines and wild flowerings in Blanco’s shifting, fertile spaces. ... But the gem, for me, is the ultra-lo-fi charmer Musica para Danza (1961), Blanco’s first electronic work, which sounds like a field of crickets and other softly hooting, chirping (alien) creatures in a lush nightscape of rhythmic counterpoint. Close your eyes, and you hear—as elsewhere on this disc—familiar Cuban rhythms in a magical new form. Beam me up, Blanco."